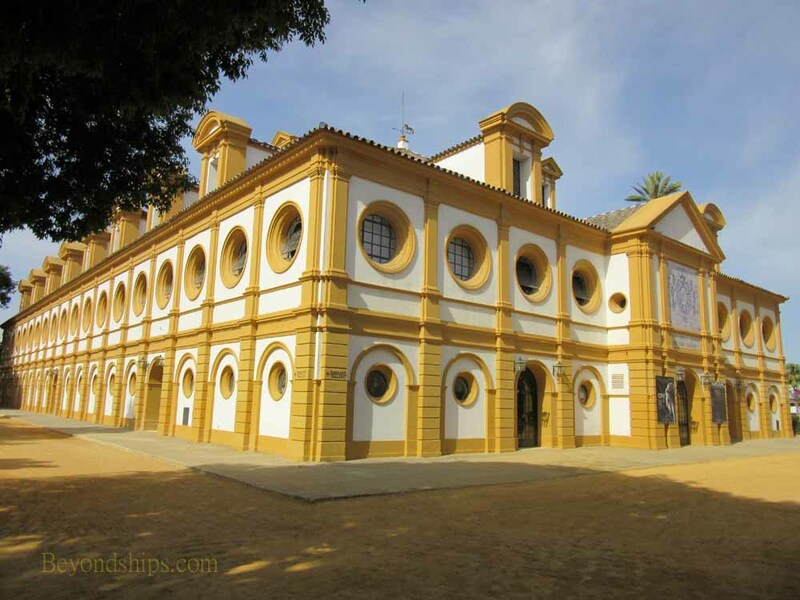 The Royal Andalusian School of Equestrian Arts is located a short distance outside of Cadiz in Jerez de la Frontera. It is one of the world's most prestigious riding academies. A visit to the school offers the opportunity to see magnificent animals working in close harmony with their riders. All of this takes place in a pretty setting. The School is of relatively recent origin. In 1973, then Crown Prince Juan Carlos bestowed Spain's prestigious Golden Horse award to Don Alvaro Domecq Romero for his work and dedication to the horse. 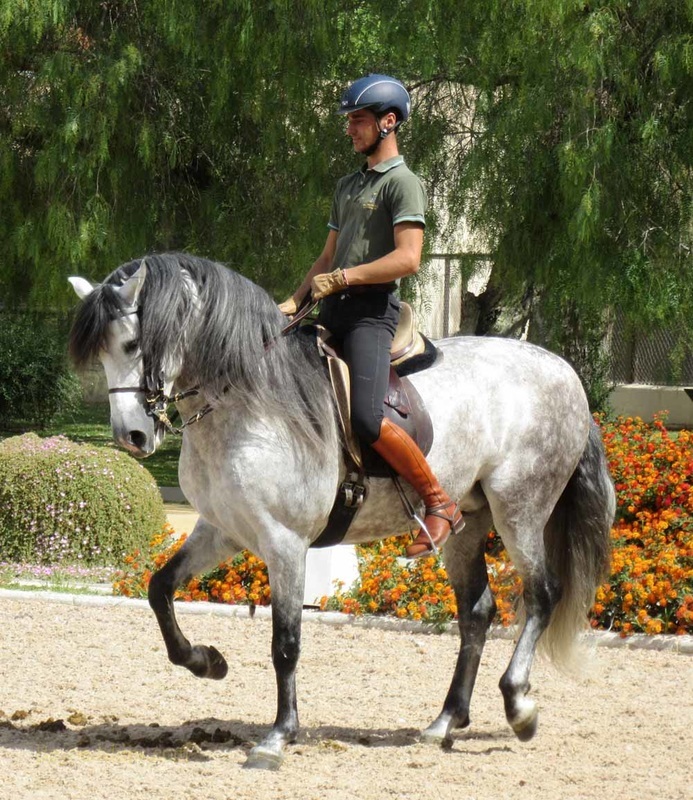 In celebration of this event, Don Alvaro presented a dressage exhibition called “How the Andalusian Horses Dance.” This exhibition became the basis around which the school developed. Subsequently, the Ministry of Information and Tourism purchased land and facilities for a riding school. This was acquired by the predecessor of the foundation that now runs the school acquired these assets. Don Alvaro was made the Technical Director. 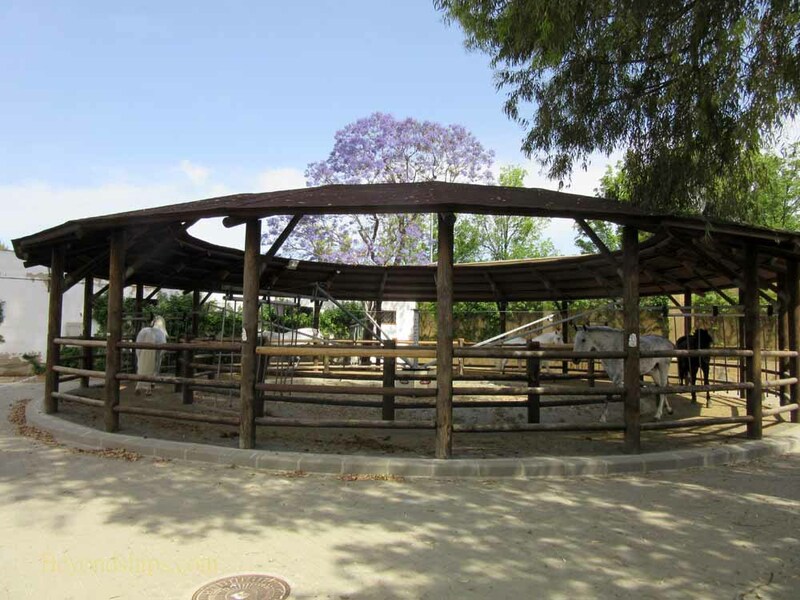 In 1983, the school acquired the stables of Don Pedro Domeqg de la Riva, which included 35 Spanish horses and a collection of antique horse-drawn carriages. This added an additional dimension to the school. Four years later, the King of Spain, Juan Carlos I, agreed to be the honorary president. As a result, the word “royal” was added to the school's name. The stars of the school are the Carthusian horses. One of the most prestigious lines of Spanish horse, the line traces its origins back to a stallion named Esclavo, who was considered perfect. In the 18th century, a group of Escalavo's descendants was given to a Carthusian monastery who then protected the line down the centuries. 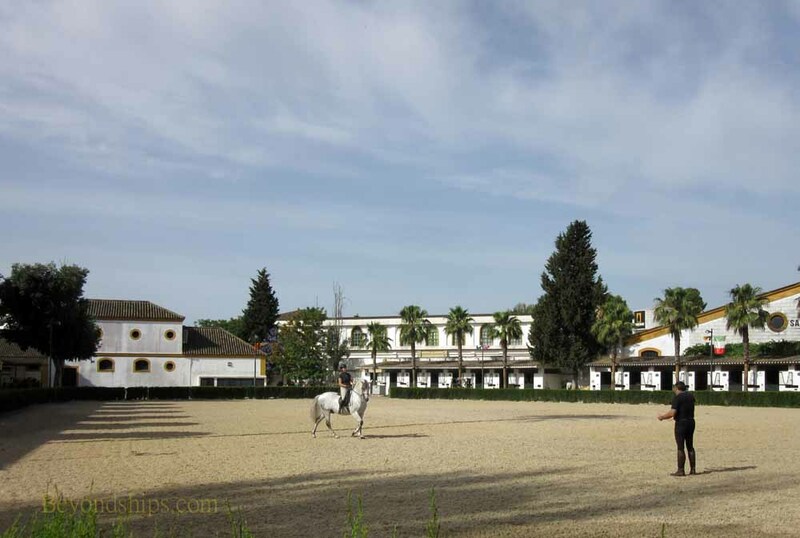 A branch of the Andalusian breed, the Carthusians are considered the purest remaining strain of Spanish horse with one of the oldest stud books. These horses have a natural apptitude for dressage. In addition, their docile yet energetic temperment makes them recptive to training. To top it off, their regal appearance has been depicted in paintings of royalty through the centuries. The students are no less accomplished. The school offers four year courses in horsemanship as well as in carriage driving and harness making. There are also shorter intensive courses for talented amateurs and professional riders. In either case, the students come for serious study. This is not a school for the casual weekend rider. Horses and riders from the school compete regularly in international competition. They have won Olympic medals as well as medals at the World Equestrain Games. The work of the school is also demonstrated in performances given in the school's arena. 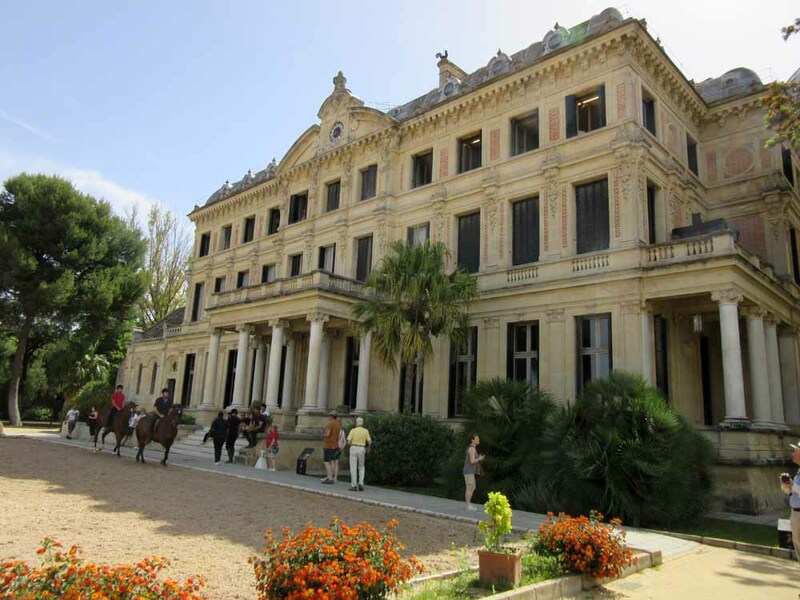 These exhibitions feature haute dressage as well as Spanish country dressage and carriage driving. Among other things, the horses perform quadrilles, dancing in synchronized movement choreographed to music as well as the spectacular leap in the air known as the Capriole. The arena was built for the school. It was designed by Jose Luis Picardo and has 1,600 seat including a royal box. Another way of seeing the school is by taking an afternoon tour. Outdoor on the grounds of the school, hoeses and riders train and practice their routines and movements. A young horse may be learning a new movement. A carriage whizzes by. It is less structured and less formal but not less beautiful. The grounds of the school are also magnificent. 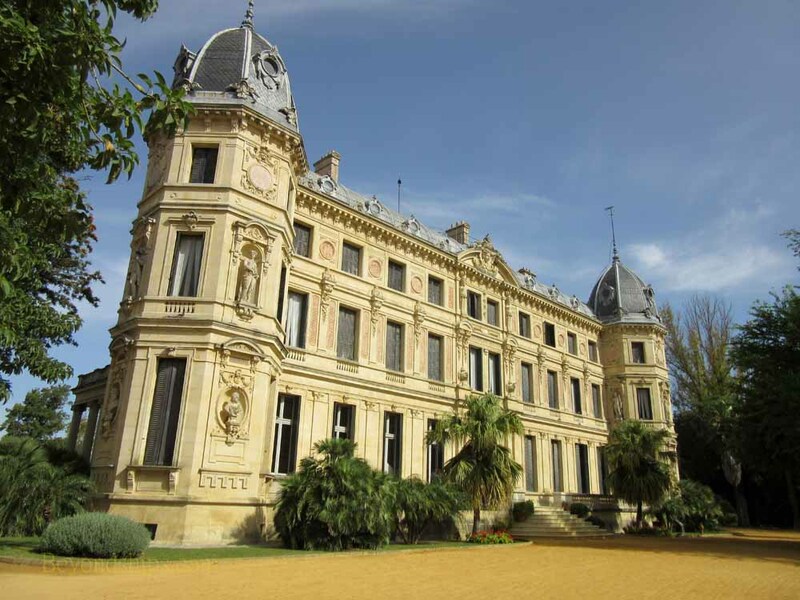 The school is located on a nobleman's estate known as the “Recreo de las Cadenas.” Its stately Neo-Renaissance/Neo-Baroque house, referred to as "The Palace" was designed by Charles Ganier who also designed the Paris Opera House and the Monte Carlo Casino. The well-preserved house is now used as the school's headquarters and also houses a museum of equestrian art. 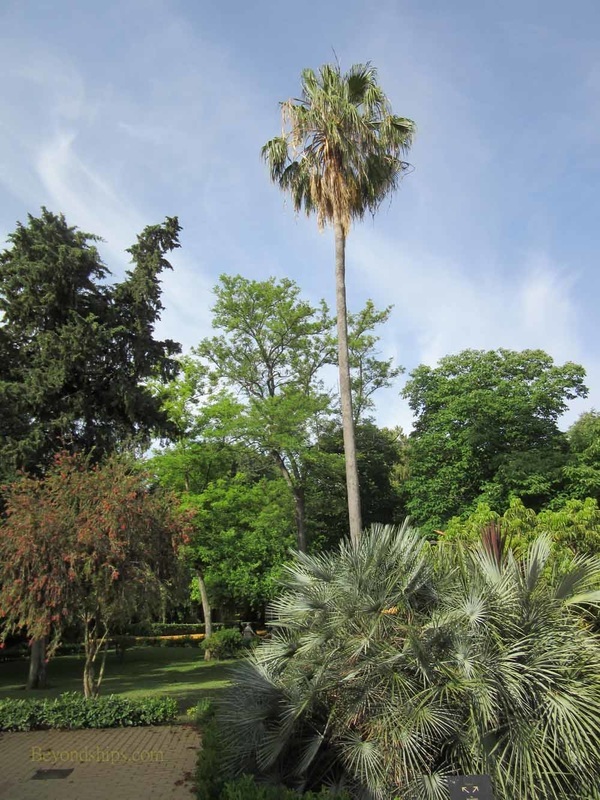 A botanical garden with some 40 specimens of trees and bushes from around the world borders the Palace. Naturally, the grounds also contain outdoor training facilities as well as stables. Other out buildings contain the School of Saddlery and the Carriage Museum. For more information on visiting the school, see the school's website. Above and below: The palace. ​Above and below: Some of the training facilities.